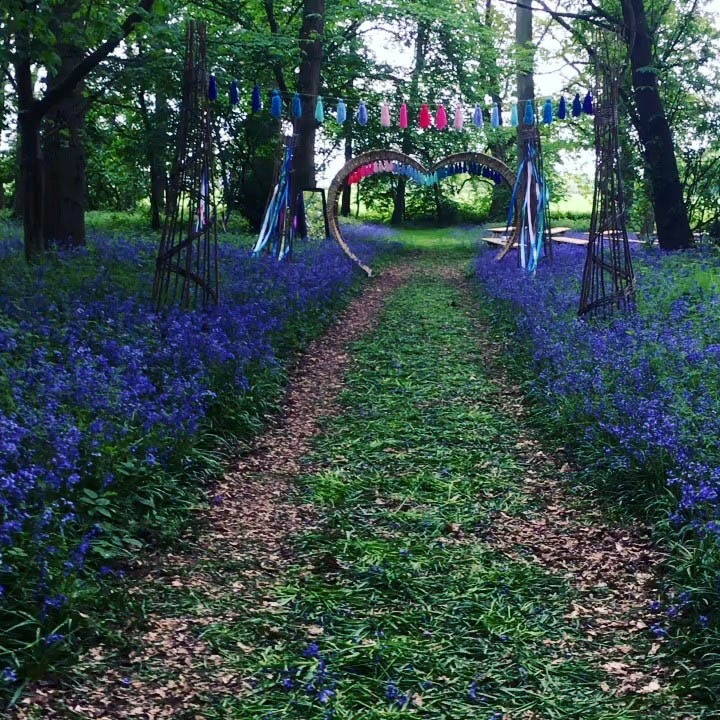 The path to the wedding ceremony space was a carpet of bluebells. 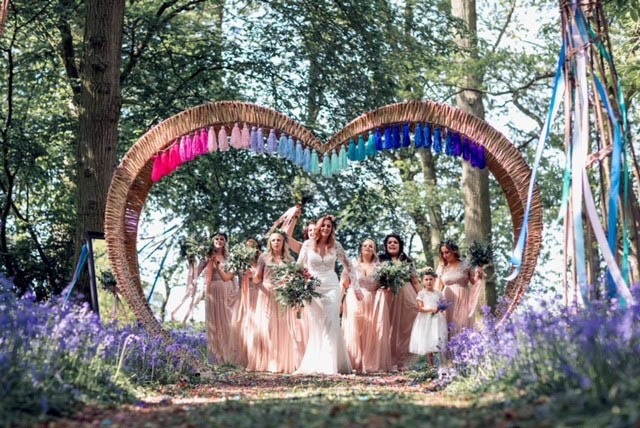 The arrival of the Bridal Party was so breathtakingly beautiful, that it was hard to believe it wasn’t a dream. 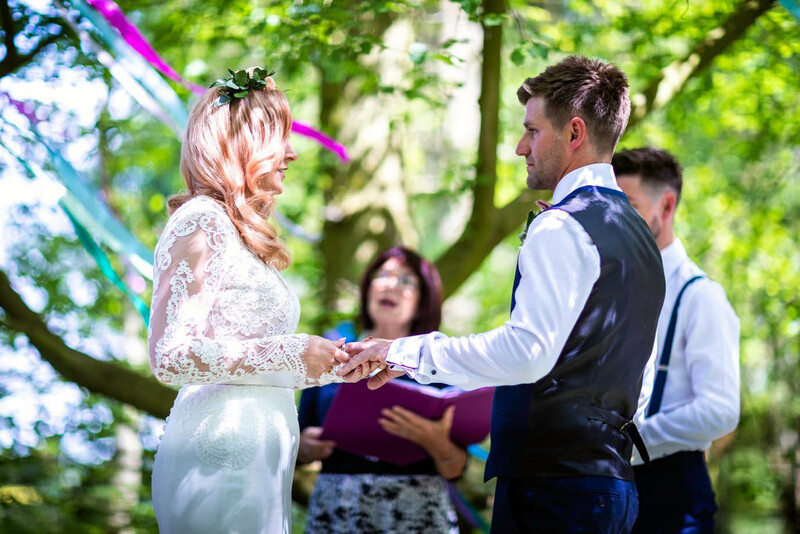 A little hug while the wedding guests line up for the confetti throw. 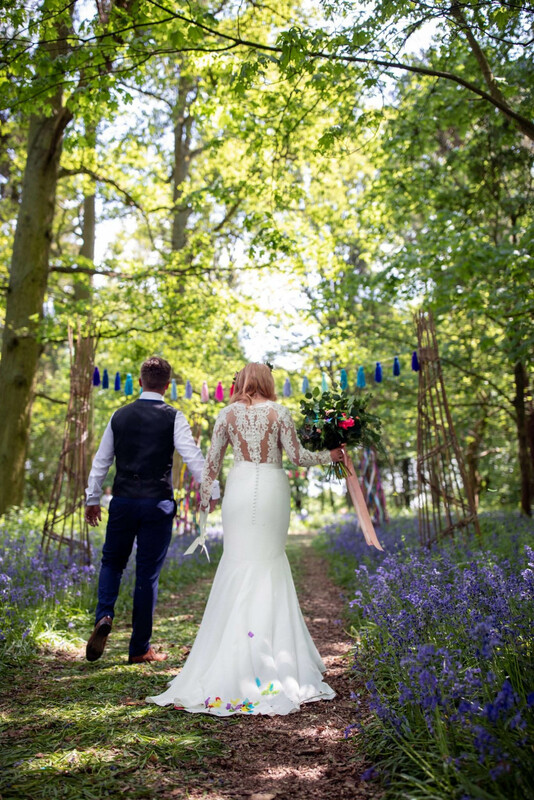 Waiting for the bride to arrive – in a sea of bluebells. Telling their story in this magical place. 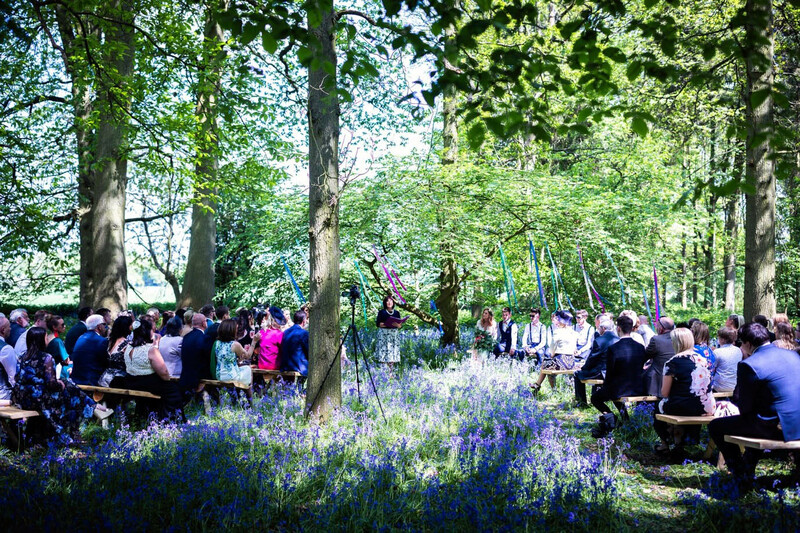 Bluebells dappled with sunlight, tall conifers, gentle breeze – a truly magical ceremony space. 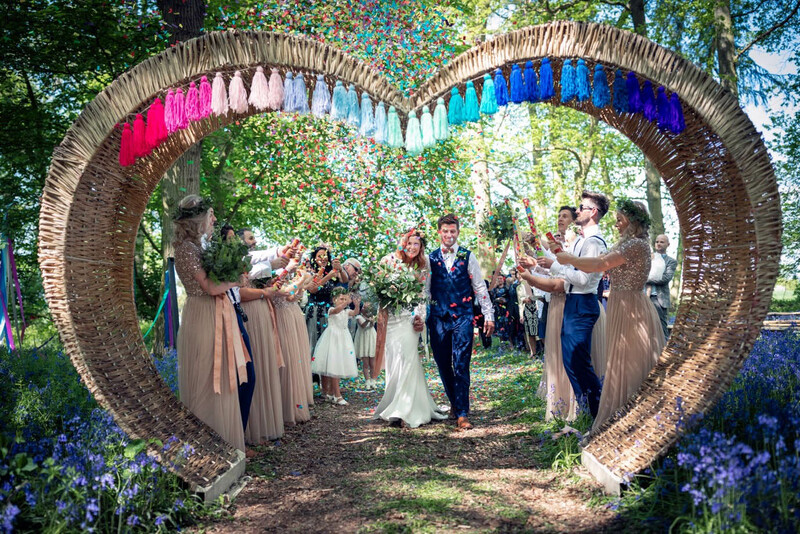 Confetti cannons shooting thousands upon thousands of colourful pieces of confetti – showering Sacha and Ross with good wishes for their future lives together. 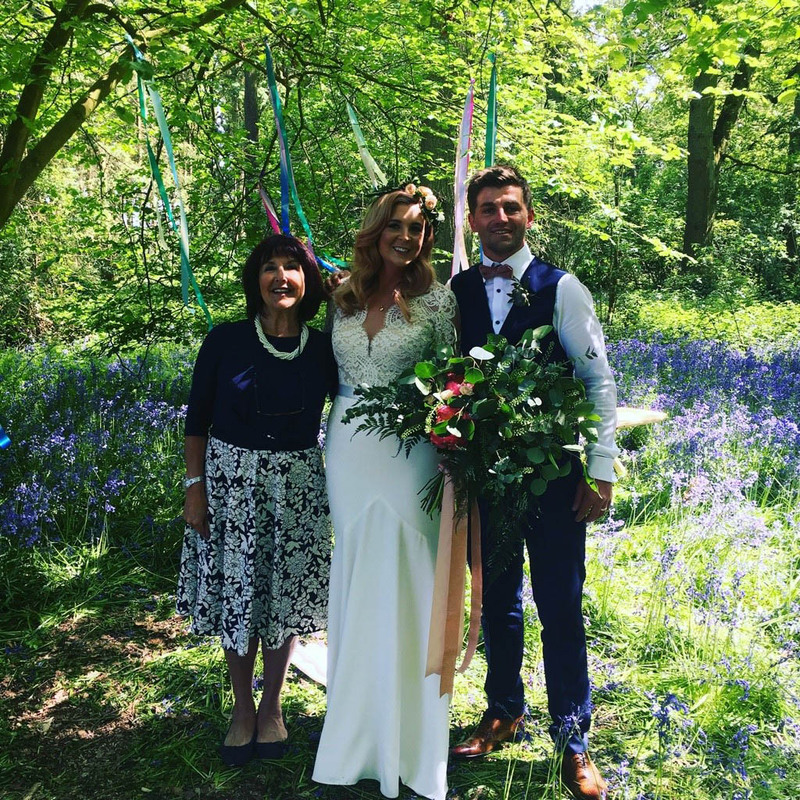 Sacha and Ross, wishing you every happiness as you embark on life’s new adventures together. Thanks to Matt for the Black and Whitely images.